So this week's first artist goes by the name of Young Markk and I actually stumbled upon him while looking for cover's of Chris Brown's Fine China. I got to a youtube link for him and to my surprise, dude was rapping. And he spits for real, but it's almost just like Kendrick Lamarr with the speed and lyrical potential though he does have a different cadence. Now I like the potential he has with his weekly freestyle series but the one issue i have is that with his verses I would like to see him have a theme or subject that differs from the original in these which would truly show me his talent as a lyricist and potential to create songs on his own that i would want to hear. Hopefully He keeps it up and takes some time to make these verses more precise. 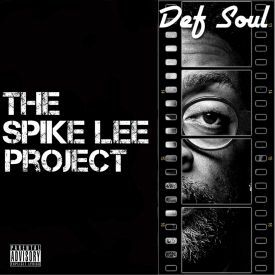 Another interesting project I have recently heard was by an artist named Def Soul and his "Spike Lee Project". This is a concept album based upon some of Spike Lee's films which was created by sampling some of the music in each film and where the artist Def Soul spits rhymes to that attempt to capture the spirit of and summarize the movies from which each song is based. It's not a bad idea though I think lyrically Def Soul lacks some finish and polish with some of the songs being a bit too straight forward and rough sounding. I'm not a big fan of the sound and feel myself but I can definitely see J. Dilla fans really getting into the sound sonically. I would say this is something to check out for being different and having an actual direction instead of being random songs. Make sure you click that link above and check it out. The third artist this week I can't say i'm feeling that much but i do commend him for his efforts. Brooklyn born rapper Vitiate also sent in some music, his newest single "Trading Deadline" with B-Rhymez starts off slightly promising the beat isn't that bad and he has that rapid fire mutli syllabic flows but he and B Rhymez don't stay on beat all of the time and this is one of the worst hooks I've heard in a long long time. It's lifeless and trite. However, the other song I received was more interesting just because of the subject. Vitiate apparently suffers from Autism and his song "Awe-Tistic" is all about dealing with it. If you get a chance, check out these artists and drop a comment below to tell us what you think.